While traveling is definitely a positive, life-enriching activity, the constant change in climate and the high altitude of flying can wreak havoc on our skin. We visited skin-care expert Teresa Tarmey at her beautiful, peaceful clinic in London’s Kensington neighborhood to get tips on how to keep skin glowing and youthful, and to try one of her supermodel-approved facial treatments. “Constantly changing climate can confuse and disrupt the skin’s natural balance, as we change products to suit each environment and cope with environmental change. Skin can become irritated or congested, and the skin’s barrier function can become disrupted. It is best to keep skin care simple with the use of hydration masks and treatments in-flight and support as much as you can with your diet and supplements. Use a good SPF for prevention and a gentle retinol for resurfacing after. A deep-cleansing facial with peels and LED is ideal to keep skin normalized, balance and to aid repair,” Tarmey says. 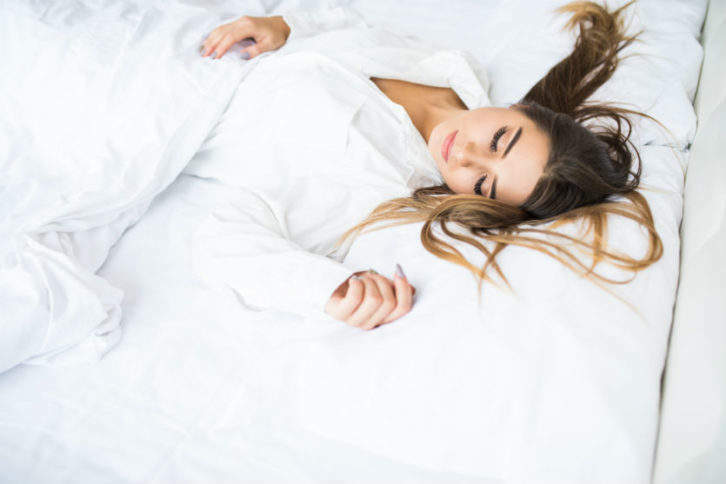 We tried the signature TT Facial, which includes a light peel (no downtime required), LED treatment and lymphatic draining, and welcomed a barrage of compliments afterward — have you been on vacation? Did you just work out? You’re glowing! Dehydration can accelerate the skin’s aging process and high altitudes can leave skin looking dull and lackluster. Use a face mask on board—this one contains a high concentration of hydrating ingredients and is highly effective in preventing water loss. It takes three minutes, and there’s no need to rinse, just carefully tissue off — the plant extracts, including lily, rose and iris, will continue to work afterward. La Prairie’s director of strategic innovation and science, Dr Jacqueline Hill, explains that changes in climate are particularly problematic as we subject our skin to extremes. Going from normal humidity to extreme dryness, from normal temperatures to extreme cold or from calm to windy conditions can all cause the skin to dehydrate. She recommends the luxe sleep mask from the Skin Caviar collection to deeply hydrate and soothe during flights. Urban toxins and free-radical production are both major causes of premature aging. Pollutants penetrate skin and can leave it looking dull and inflamed. 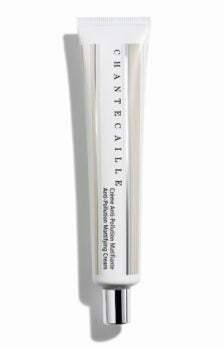 Chantecaille’s new antipollution range uses ingredients that are proven to shield and revive the skin from the effects of pollution, and the mattifying cream even protects skin from blue-light emissions from computers and smartphones. Launched in January 2018, Eve Lom’s first-ever facial oil is a concentrated blend of hemp-seed, Abyssinian and avocado oils, and thanks to its antioxidants and stable form of vitamin C, it’s clinically proven to reduce fine lines and wrinkles. Unlike other facial oils, which can leave skin with a greasy residue, radiance has a slightly thicker consistency that sinks into the skin, leaving it supple and smooth. Plus, it smells like a spa in a bottle.We tried it preflight (the handy pipette makes for easy application) and landed with radiant, hydrated skin.